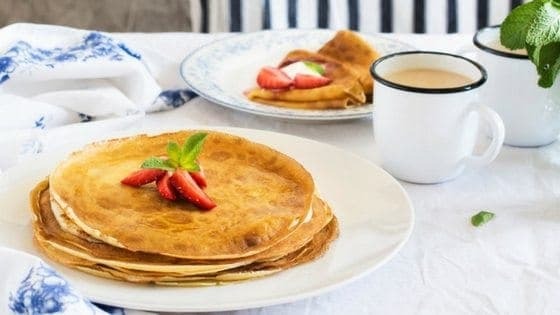 I like to think this website shows readers how being healthy doesn’t have to be difficult – which is one of the reasons I came up with this healthier non-GMO DIY pancake mix recipe. When mornings get rushed and hurried, it’s easy to skip the healthy, all natural step for the sake of convenience – we’ve all been there. We love a good pancake in our house, and those commercial mix boxes make it really easy to just add a couple other ingredients, mix, and 10 minutes later have a yummy breakfast. Except those DIY pancake mix boxes you buy at the store are full of stuff we all-natural people are trying to avoid. 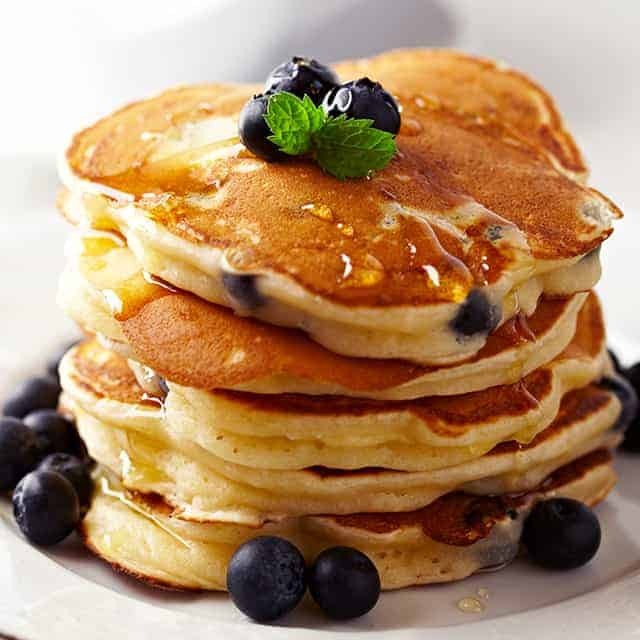 I’ve found if it’s easy and convenient to make the all-natural decision, I’m personally more likely to do it, and I hope this DIY pancake mix recipe helps you do the same. While it will work with any flour, I decided to use Einkorn flour in this mix. (You can buy Einkorn here & get it shipped to you if you don’t know where to buy it). Earlier this year, we started using it in our baked goods, and it’s easy to work with – no different baking-wise than other wheat-based flours. If you haven’t heard, Einkorn is an ancient type of wheat – and therefore hasn’t undergone any sort of genetic modification. It’s also almost universally grown without pesticides or other chemicals. Many people who can’t handle regular commercial wheat have found they can eat baked goods made with Einkorn. The nice thing about a DIY pancake mix is you can put the dry ingredients together in a large mason jar and then just add milk and an egg (necessary if you want fluffy pancakes), mix, and pour on a hot pan or griddle. Pour dry ingredients in a mason jar (this DIY pancake recipe easily scales – so if you want to double or triple your batch, go right ahead). Mix thoroughly, and store on a shelf out of the sun. To make a pancake stack worthy of Instagram, just add 1 cup of milk or water (we’ve used both successfully) and 1 fresh chicken egg (you can also use 1 duck egg) and mix to combine. Instead of syrup, I like to use honey or lavender syrup. You can also add fruit or strawberry jam. You’ll feel healthier because you know your family is eating a healthy, non-GMO pancake breakfast, and as a bonus, it’s super simple DIY mix to add to your day! Thank you for your recipe. I’m always looking for shelfstable diy mixes to expand our pantry choices. How much of the dry mix do you use with one egg and one cup milk? 1 cup mix to 1 cup milk + egg.